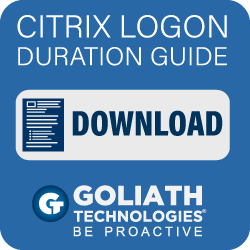 In previous blog posts, I covered using Microsoft's Application Compatibility Toolkit tool to gather a list of applications in your environment and to rationalize that list. It leaves a lot to be desired! In my experience, I was always better off just taking the raw data from ACT, putting it in an excel spreadsheet and manually consolidating the list. Which takes a lot of time, the list can also get out of hand quickly! There's only so much an Excel data filter and charts can provide. That's why I was pretty happy to discover MigrationStudio. 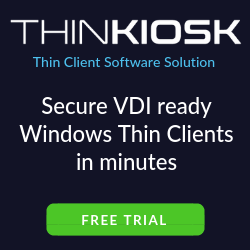 It accepts data from a variety of different sources including SCCM, Lakeside SysTrack, Snow Inventory, Dell Asset Manager and BDNA to mention just a few. Check out the full list. Note: My screenshots are from two different datasets, so the figures may not line up. One data set is from early in a migration, the other is further into it. 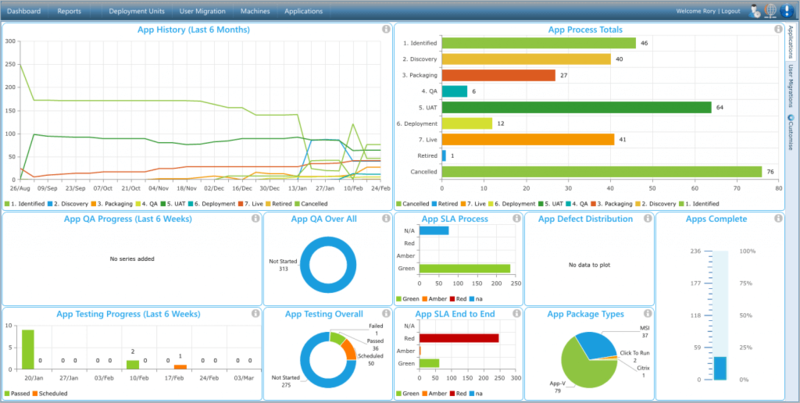 With your data imported, right away you see value with pre-set dashboards showing the number of apps discovered and even applying some of it's own logic to show how this can be reduced. In this case, it found 7 apps it beleives plotting out your top 10 apps by user. Which is usually the very first count I determine. At a glance, I can see that I should definitely work on Adobe Reader as a priority as most of my users require it and it features across all of my departments. There's a complete application list. 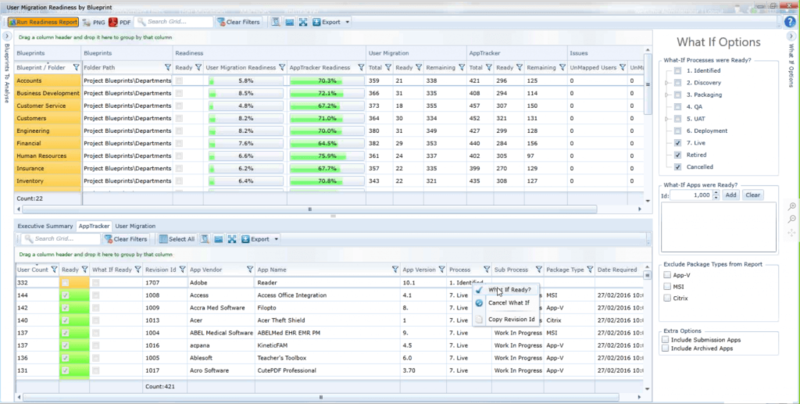 You can see on the left hand side that you can modify your process flow to suit your migration. 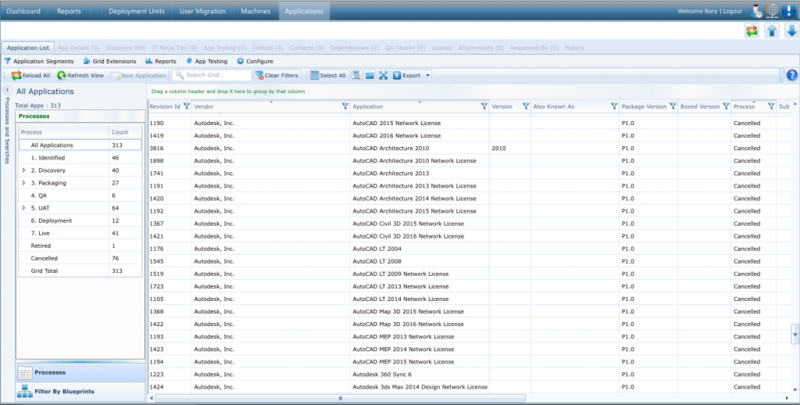 You can select multiple applications and modify at once and just generally manage the applications much easier than in ACT. As you rationalize your list by trimming out superceeded older versions of applications, maybe by getting rid of 5 of your PDF viewers in favor of 1, removing applications which are nearing retirement or any no longer used etc. this data gets displayed live in some dashboards. 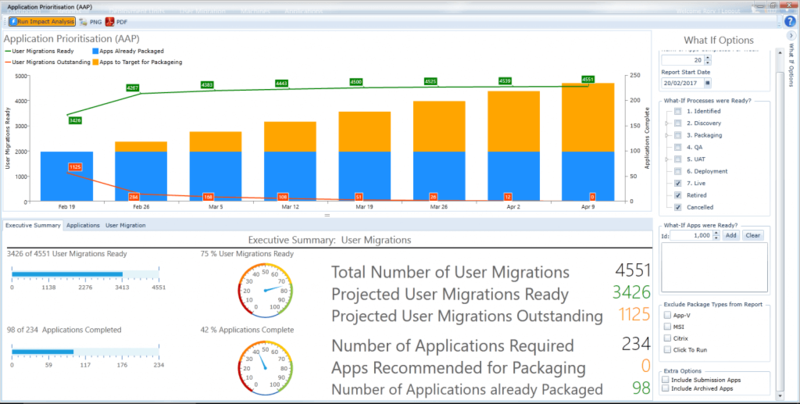 The above dashboards are a great quick glimpse for progress of applications through the end to end migration process. Even more powerful are the out of the box reports! Which takes your data and presents them in really useful reports relevant to not just the packaging and desktop teams but also for project managers and leadership. 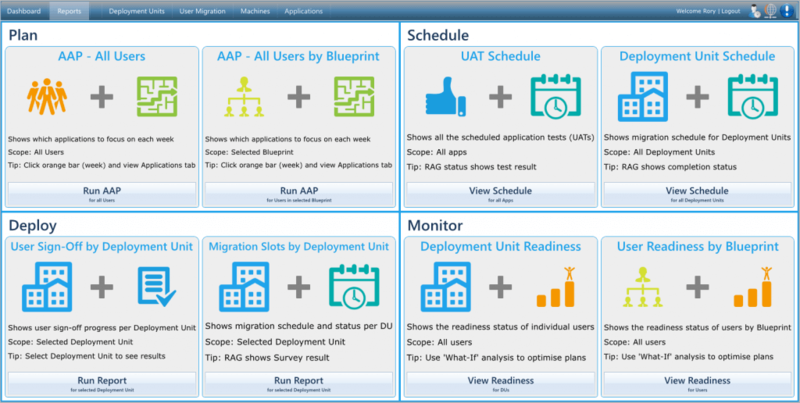 As an example, in the user readiness by blueprint example, you can do a "what if ready" to project what completing a particular application or set of applications would mean for your overall migration or even what it would mean on a department by department basis. For example, as mentioned earlier Adobe Reader is used by most of my users. As we can see in the above window, Human Resources who don't have very many applications due to the nature of their work sits at 75.9% complete. Well, they require Adobe Reader, so after I click "What if Ready?". Human Resources now shows 100%, this would complete the applications for that department and so they would be ready to get Windows 10! You can see as Adobe Reader is also used by all other department, their readiness would also jump significantly. The available API is really powerful. You can get really creative and run your own custom scripts on events. 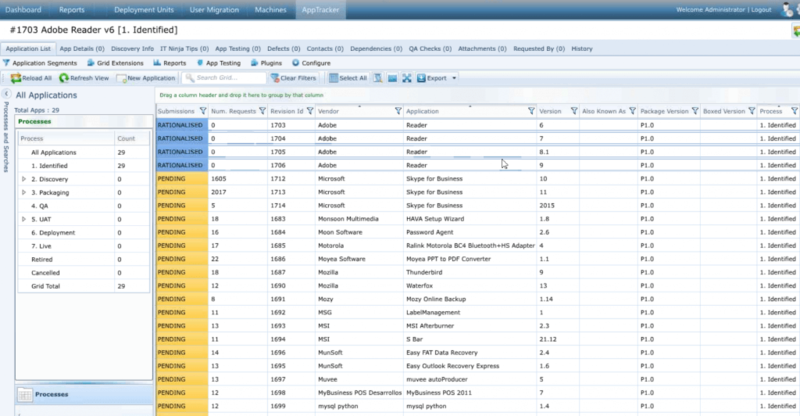 As seen in the list of available reports, you can also generate AppTracker Application Prioritisation reports which can show metrics against the entire user base i.e. if you complete a handful of apps that happen to be used across many departments, you get the number of actual users that can be migrated too. This is another view to use to figure out what apps to do first to hit the highest number of users. You can get very granular with the reporting, as seen on the right you can exclude based on package type, display based on part of the process\flow. 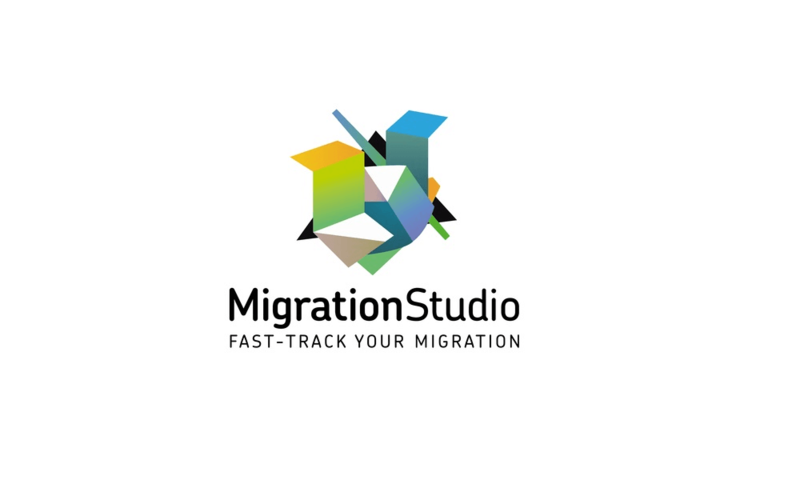 MigrationStudio reduces the time and cost required to plan and manage a migration project. 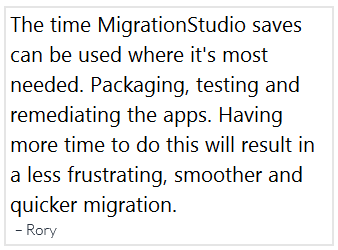 The time MigrationStudio saves can be used where it's most needed. Packaging, testing and remediating the apps. 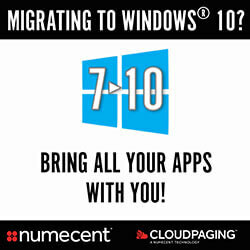 Having more time to do this will result in a less frustrating, smoother and quicker migration. The reports are also perfect for keeping upper management off your back. With a few clicks you can generate very user friendly reports that are self explanatory. I find displaying the dashboards on a TV in the desktop\EUC teams workspace is a great motivator! For those who work as consultants, a group very much in demand for large migration projects that in-house IT teams cannot complete alone, MigrationStudio will also be your best friend. 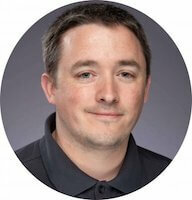 In fact, it may be even more beneficial to consulting companies. The administration overhead for your projects goes way down!